Lost Treasure – Deborah Gee’s “Portal” reopened…. 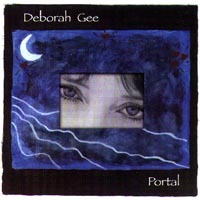 Deborah Gee is an artist who has been around the block. She has been-there-done-that both musically, and existentially. On the solo album Portal (2000) she demonstrates her ability to channel all of what she is and what she’s learned into the grooves. Gee has had brushes with commercial crossover. Her music has appeared in T.V. and films and has garnered the type of positive mainstream press that usually results in Billboard placing and higher media profile. However, she remains an indie enigma. Gee’s stock and trade is eclectic progressive pop with a decidedly Euro-American sensibility. For those of you who need comparisons…think Aimee Mann without the sugary aftertaste. 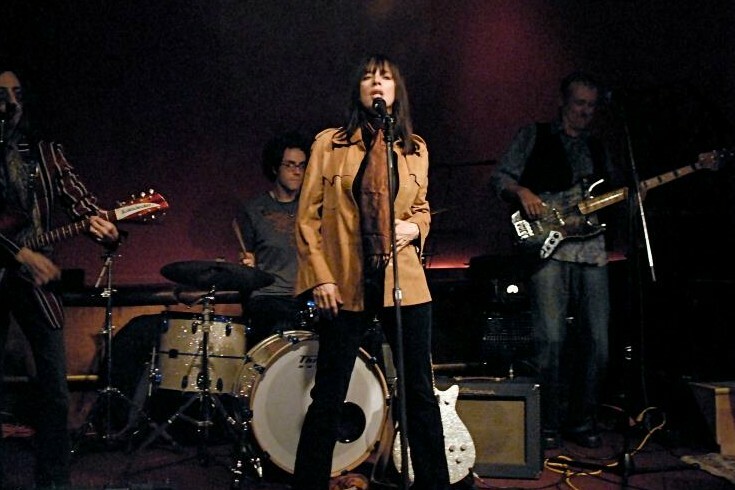 And in her edgier moments, Chrissy Hynde with less snark and more heart…. Opening track “Say What You Mean” is the smart and obvious choice as the gateway tune to the album. Arguably the the most fully realized piece of music on Portal, I’d venture this selection received a lot of TLC in the tracking and mixing phase of the production. Co-produced by C.J. DeVillar; It has a graceful and elegant mid-tempo groove laced with spacey (yet restrained) sitar and tremolo guitar effects. A good stoner tune that’s tight in the pocket and frosted with a memorable hook line. 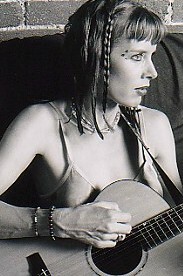 The following track, “Risk” seems to possess a vague notion of being an Alt-Country crossover hit. Ironically, it’s the least riskiest track on the album. The darker, weirder recesses of this record is what most interests this reviewer and the track “Naked” has a lot to recommend. A looser, more Diddleyesque beat changes the pace from the swiss watch precision of the previous selections and Gee adds some nice spoken word interludes and edgy lyrics decrying the destruction of innocence in particular and religulousness in general. Lots of nice musical detours in the arrangment. Number four is “Perfect Girl”. A bouncy prog-pop quickie that lyrically slaps upside the head the pathetic fool in all men. You know what I’m talking about; the man child who constantly devalues who they’re with in favor of the idealized Perfect Girl who exists only in the imagination and ego. “Treasure” is the albums first bonified unplugged moment. There is plenty of space and air in this track; allowing discreet percussion to bounce around the stereo spectrum to nice effect. It’s a gentle mandolin driven track that (for me) evokes the hippy spirit of the Laurel Canyon singer songwriter era; and if this album were a 33 1/3 long player, it would be the perfect closer for side 1. Conversely, “Just A Kiss Away” would be the perfect hard charger out of the gate to open Side 2. Arguably the most commercial track on the collection, it merits a higher placing than sixth on the track-list. No matter, it’s a stunning track that is carried by Gee’s driving acoustic guitar. It’s sentiments are very pure pop for now people. I got a very strong visual of the girl in the coffee bar who is seemingly ‘too cool for school’ already strategizing the conquest of her clueless prey. “Warning” keeps things moving along with some nuanced, injured bird vocals and some nice wordplay about good lust gone bad. Upon second listening I detected the fragrance of Suzanne Vega during her urgent loft-pop heyday; this is a good thing…..
“Washed Away” is a barometer of how good this album is. Neither a commerical slam dunk like “Just A Kiss Away” nor a finely honed set piece like “Say What You Mean”, “Washed Away” simply carries you along on the strength of melody and song-craft alone. An album cut to be sure, but one that sticks to the ribs and has a build and release that would do any middle period Genesis track proud. Any classic solo album worth it’s weight needs a majestic, tear-jerking, power ballad with a universal message. Pearl fits that bill nicely. The bridge section where Gee scats against the mournful cello phrases shows the depth, power and fragility of a master vocalist and chanteuse. The final tune, “The Child Will Mend” is Gee alone with her voice and thoughts. It seems a summation of the lessons learned in the preceding songs. Achieving a Zen ‘state of grace’ is not a team sport. it’s done alone, one person, one soul, one voice. Only the angels for companions. I read an interesting quote in a Nick Lowe article. To the effect that ‘pretty good’ is the new terrible. Just one viewing of the highs stakes karaoke of The Voice should convince any doubters of this theory. Old world craftsmanship on record used to be the requisite not the exception. Portal is all about old-world craftsmanship. When I got this record for review, I knew it would be a ‘pretty good album’ with many strong points. I wasn’t expecting a great one. I’ts nice to be surprised.